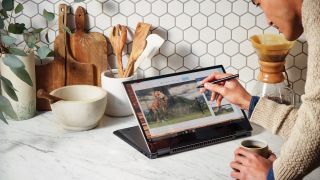 Microsoft has whittled down its major Windows 10 upgrade installation process to an average of 30 ‘offline’ minutes through its Windows Insider Preview builds of Redstone 4, the codename for the next marquee Windows 10 update. So, if you’ve held off from installing previous titled Windows 10 updates on account of their lengthy installation times, Microsoft wants to do better by you. The company made the announcement as part of a Windows Insider blog post, showcasing gradual improvement over the past few major Windows 10 updates. For instance, Microsoft admitted a total ‘offline’ installation time of 82 minutes on average back when the Creators Update of April 2017, which improved to 51 minutes with the Fall Creators Update of October 2017. Now, within Insider Preview builds, the company says to have pared this down time to just 30 minutes on average. To explain why we’re quoting the word ‘offline’ here, Microsoft looks at operating system (OS) installations occurring in two different states: online and offline. What you might consider the OS installation, the growing percentage atop a blue screen, is just this ‘offline’ state – a considerable amount of installation is done while you’re still using the computer, before it restarts. ‘Online’ in this context includes anything that’s done in the background while the computer is still in use, before the restarts begin. Meanwhile, ‘offline’ includes everything that’s done either just before or after the computer restarts, usually on a blue screen. To achieve these faster installation times, Microsoft has gradually moved more of these ‘offline’ processes into the ‘online’ category, particularly now that ‘user content is prepared for migration’ and the ‘new operating system is placed into a temporary working directory’ during this first phase, as per Microsoft’s blog post. So, if you – like most of the world – consider the ‘offline’ state of an OS installation the whole kit and kaboodle, then Windows 10 installations just got a helluva lot faster. As Microsoft likes to brag, these changes have reduced the overall ‘offline’ – again, the time in which you cannot interact with the computer – installation time to not much longer than, yes, making a sandwich. So, prepare yourself accordingly for the forthcoming Redstone 4 update.